Northampton Saints haven't seen the success they've been craving in the last few years, not helped with last seasons talisman Louis Picamoles moving on. The glimmer of hope for the Franklin's Gardens faithful may be in the form of South African international Heinrich Brussow. British and Irish Lion Rhys Webb has been linked to the Top 14 as he is coming to the end of his dual contract with Wales and Ospreys. The Welsh number 9 has been linked with French sides Racing 92 and Toulon, as well as Aviva Premiership side Bath Rugby. 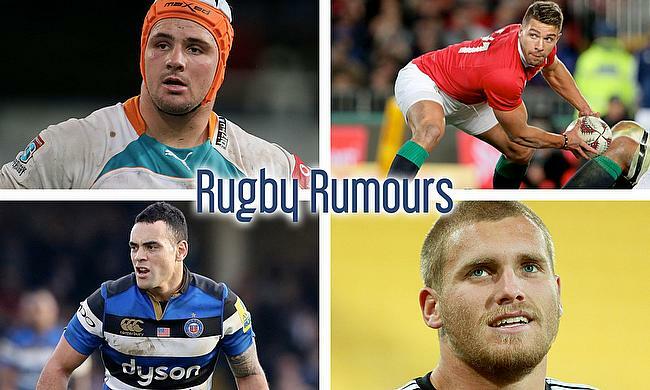 Hurricanes and Wellington versatile back rower Brad Shields is rumoured to be coming to the UK in the not too distant future. The huge pay packet he could recieve and his eligibility to play for England through his parents could be enough to get him over. There's whispers that Kahn Fotuali'i could move to France this season, leaving Bath Rugby behind for the Top 14. The Samoan international is reportedly looking for that missing Frence-league puzzle piece, having played in Super Rugby, Mitre 10 Cup, ITM Cup, Pro12 and Aviva Premiership.